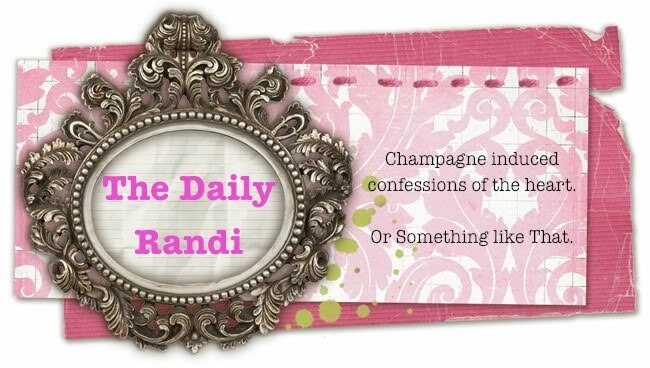 Last week, The Cutest Boy Ever turned to me and said, "The Daily Randi, you are a girl who I could Hang Out With for a while!" I think this statement was meant to be Romantic. My raised eyebrow and pursed lip must have made him reconsider. "Um, that is just some Casual Non-Committal Dude Speak," he explained. Apparently, The Cutest Boy Ever has mastered his Very Own Language. And although Casual Non-Committal Dude Speak is easy to learn, it does require the study of several key phrases. "You are a girl who I could Hang Out With for a while" is translated simply as, "I like you and would consider dating you for 3-6 months." "We need to take things slowly" means, "I won't sleep with you until the third date." Finally, "Right-on" is code for, "I am pretending to listen to you and be really interested in what you are saying. Also, you have Boobies." I told The Cutest Boy Ever he should offer a Berlitz class in Casual Non-Committal Dude Speak, where men and women alike can be totally immersed in the new language. That way, Women could finally understand what men are Really Trying To Say and Men can try out new Casual Non-Committal Dude Speak Vocabulary Words, such as, "Maybe" and "I'll call you" and "It is too late for you to drive home so just crash here in my bed with all your clothes off." The Casual Non-Committal Dude Speak Academy could really take off as a great place to meet That Special Someone! The Only Problem is you will never know if the men are Asking You Out or just wanting to show off their Prized Futons and Flat Screen Television Sets.